Transitioning to a plant based lifestyle might have you envisioning all kinds of sacrifices and having to spend hours on complicated and careful planning. On the contrary, it’s all in how you set the scene for your new lifestyle. 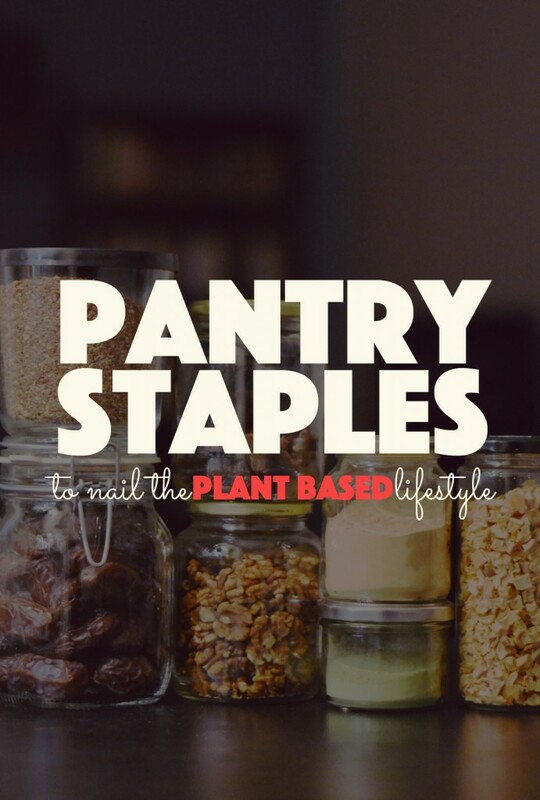 If you’re curious about eating a diet that is more sustainable for the planet and healthy for your body, you’ll want to stock up on pantry staples to nail the plant based lifestyle. The success of any type of diet or food philosophy is going to depend on what you stock in your pantry. The more the food in your cupboards is in tune with how you want to eat, the easier it is to make the right choices. Of course eating vegan is going to be difficult if every time you open your fridge, all you see is meat and dairy products. If your fridge and cupboards instead are packed full of fresh produce, nuts, seeds, grains and plant based snacks then you’ll never struggle to figure out what to eat. Having followed a plant based diet for a large portion of my life, my pantry has got all the staples typical of the lifestyle. 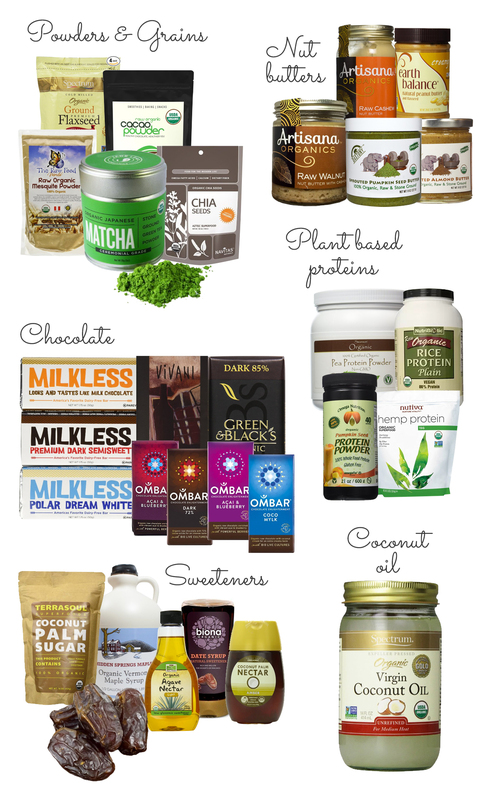 So I’m opening up my cupboards to you to give you a list of what products to stock up on (and how to use them) to start your rad plant based life! Coconut oil is extremely versatile and can be used for baking, cooking, or as a beauty product for hair treatments, moisturizer, or for oil pulling. Because of it’s high smoke point, coconut oil is ideal for frying. The high smoke point of the oil means it can handle higher temperatures before the fats in the oil turn to trans fats (you don’t want that). My pantry always stocks a big jar of organic coconut oil and I use it daily for baking, cooking, or instead of butter on toast. I’ve also tried it as a hair mask, hand cream, and for oil pulling. You just cannot be without a jar of this in your plant based pantry. Dates are little powerhouses full of nutrition. They contain calcium, iron, phosphorus, sodium, potassium, magnesium, zinc, and vitamins thiamin, riboflavin, niacin, folate, vitamin A and vitamin K. But above that, they’re an excellent sweetener in baking, raw food treats, and smoothies. The high fructose content of dates also make them excellent pre-workout fuel or for consumption during longer endurance training. I use dates on a daily basis for a snack (I stuff them with nut butters, it’s the best!) or in baking raw bliss balls, like my brownie peanut butter chocolate chip bliss balls and my liquorice and lemon bliss balls. Chia seeds contain lots of fiber, protein, calcium, and omega-3 fatty acids (the good kind of fat). They are also famous for the gel-like consistency they create when mixed with liquid, making them ideal for creating chia puddings or as a binder in baking. The base recipe for chia pudding is just mixing about a 1:3 ratio of chia seed to liquid, and then flavouring it with whatever tickles your fancy (like vanilla extract, liquorice powder, lemon, or fresh berries). Try making my 5-minute chia seed jam. Or just sprinkle chia seeds over your breakfast cereal, oatmeal, or on smoothies. The thing that earns flaxseed a spot in the plant based pantry is its high value of omega-3 (14 grams, about 2 tablespoons of flaxseeds, pack 133 percent of the recommended daily value of omega-3). In addition to that, and similar to chia seeds, they can be used as a replacement for eggs in baking. To reap the benefits of flaxseed, it’s important you buy ground flaxseeds (or grind whole flaxseeds yourself in a coffee grinder). The reason for this is that our bodies cannot soak up the nutrients of flaxseeds unless they are ground. Non-ground flax seeds just pass through our bodies. I discovered mesquite powder a couple of years ago and have never turned back. Mesquite is a raw super food powder derived from the pods of the mesquite plant. It has a sweet and caramel-like flavour which makes it an excellent ingredient in baking, in particular raw food baking. You’ll often see it mentioned as an optional addition in my raw food recipes, I tend to sprinkle a teaspoon of it in anything sweet I’m making. Contrary to popular belief, you will get enough protein on a plant based diet. So supplementing a protein powder isn’t necessarily going to need to be a staple in everyone’s pantry. However, I strength train a lot and therefore want a quick and easy source of protein. So natural, unsweetened, plant based protein powders is something I stock. I’ve tried a couple of different types, including brown rice protein, hemp protein, and soy protein. Additional sources are pumpkin seed protein and blended plant based proteins. I’ve found that I prefer pea protein. If you like baking chocolate treats then cacao powder needs a prime spot in your pantry. Definitely go for unsweetened cacao and preferably the raw form. The more pure the product (and raw is about as pure as you can get) the more vitamins and nutrients still intact. Raw cacao powder is unprocessed which means it’ll still have all the beneficial antioxidants and nutrients of the cocoa bean, such as magnesium, calcium, zinc, iron, potassium and B, C and E vitamins. Try making a matcha tea latte instead of your regular espresso latte. There’s so many alternatives to refined white sugar that we’ve got ample opportunity to avoid ever having to use that not-good-for-us white stuff. Coconut sugar is derived from the sap of the coconut palm, which is then boiled and dehydrated. It has a much lower glycemic index than regular sugar, which means it won’t spike your blood sugar levels and inevitably have them crashing not long after. Maple syrup, agave syrup, date syrup, and coconut blossom syrup are other sources of fructose based sweeteners that can be used in baking. Of course, although these sweet sources are better than refined white sugar, they should be consumed in moderation. The most natural and unprocessed sweetener you can get is fruit, like unsweetened dried fruit – medjool dates for instance. A kitchen pantry without chocolate just simply cannot be considered complete. You might be worrying that chocolate will be deemed a part of your past if you go on a plant based diet. Quite the opposite! There’s lots of great dairy free chocolate, including excellent raw chocolate options like the ones from Ombar that I love (try the Acai & Blueberry Chocolate Bar or the Choco Mylk). Other vegan chocolate brands include most chocolate from Green & Black’s, Vivani, Go Max Go foods (for decadent candy bars) and Premium Chocolatiers. If you’re anything like me, then nut butters sit on the throne of your pantry. I love almond butter, but I like to alternate between different types of nut butter. Sometimes I have peanut butter, other times cashew nut butter, or walnut butter, or pumpkin seed butter, or a real treat – Peanut Butter and Co. nut butters. Nut butters are also great for baking, or as a good addition of protein and good quality fat to your smoothies – or do like me, add a dollop on top of your morning oats! You have to take me for a matcha latte (or make one for me!) one of these days! I still haven’t tried one.